White Whisker Books is one of the emerging hybrid publishers, a nimble small publisher that uses marketing tools used by big publishers as well as many of the tools self-publishers are discovering. These days, with no sure-fire way to get a book noticed, much of what we do is try new things. 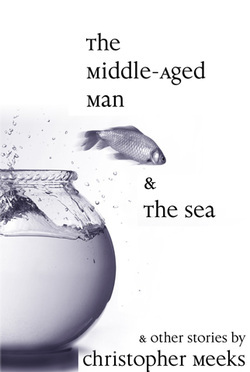 Thus Meeks brought out The Middle-Aged Man and the Sea in 2006, and its first review was in the Los Angeles Times, which called it “poignant and wise.” Later that summer Entertainment Weekly called it “stunning.” Meeks has since brought out another short story collection, a play after its second production, and now novels by himself and others. Using a traditional approach for quality, Meeks from the start used editors, proofreaders, as well as book designers Daniel Will-Harris and Deborah Daly. Now the press has grown to four authors and multiple books. For marketing, we give a good lead time before publication day. At this time, we're not open for submissions.